What Does The Best Bond Cleaning In Pinjarra Hills Cover? Finding and selecting reliable house cleaning in Pinjarra Hills is not easy. The most common questions we get asked by people like yourself have been collated below to assist you in making a smart decision. 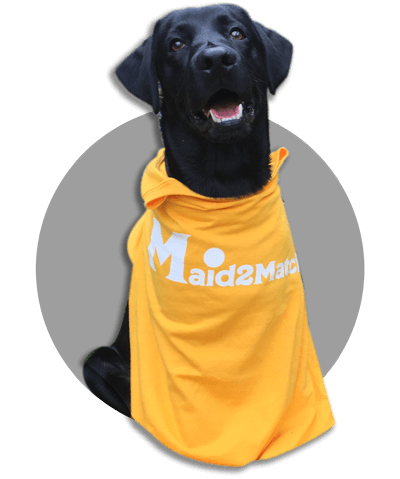 WHY ARE MAID2MATCH PINJARRA HILLS’ BEST AT VACATE CLEANING? The truth is great bond cleaners possess a different skill set than regular house cleaners and therefore requires specific experience, dedication, and a first-class cleaning checklist. At Maid2Match, we personally vet all our cleaners, after having them complete a three-part application form. We provide extensive support and have crafted the most effective bond cleaning checklist you’ll find. Our team is the go-to for your end of lease cleaners. Pinjarra Hills is one of Brisbane’s outer suburbs, located 15 kilometres away from Brisbane central business district, with CBD to its east. Set on the northern shore of the Brisbane River, this remote suburb only has a few hundred inhabitants, and a fairly old population compared to the Australian median. One of the reasons could be that this is a mostly rural area, pretty far from the bustling Brisbane life. But surprisingly, most of the lands here are owned by the University of Queensland, which has interesting paddocks, guarded by tall trees. In other words, one of the main activities you can enjoy in the area features nature hikes or walks, as well as bicycle riding. For instance, you can enjoy the habitat restoration site located on 52 Glenhurst Road, which is the John Wilson Reserve. The Pinjarra Road Park on 368 Pinjarra Road is quiet too, with lots of interesting vegetation. You can also enjoy a car ride on the famous Moggill Road, the main road route that passes through this suburb; part of State Route 33, this road starts in Toowong and ends in Moggill. Another activity you can try here is horse riding, with plenty of stables and racecourses that can offer entertainment, including horse riding lessons for kids.